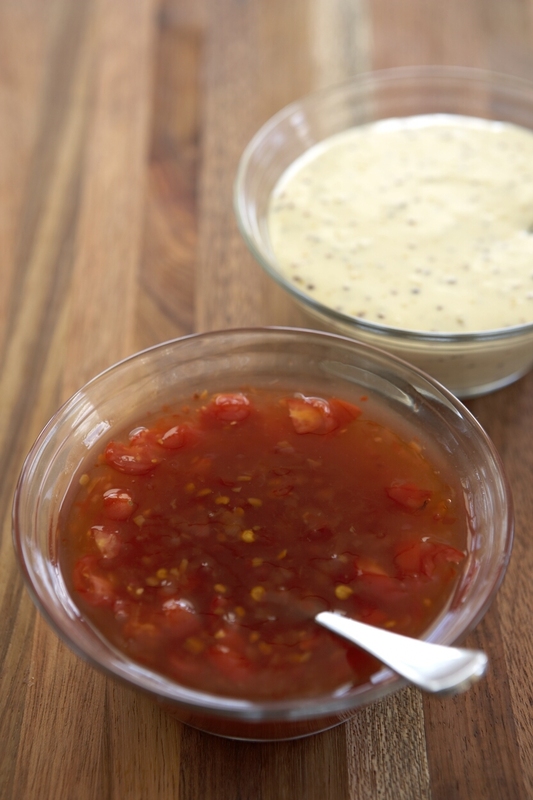 Here are two easy dipping sauces that you can make when entertaining. They're great for dipping chicken skewers, chipolatas or even some crunchy veg. 1. Blanch the tomatoes, peel and cut them into quarters. 2. Place tomatoes into a blender with garlic, Worcester sauce and chillis and blend until a thick consistency is reached. 3. Pour into a saucepan and add the sugar and vinegar. Bring to a boil stirring constantly until sugar is completely dissolved. 4. Turn the heat down and let it simmer. Stir every 10 minutes for 30-40 minutes until jam like consistency is reached. 5. Jam becomes thicker as it cools. 1. Whisk mustard, egg yolks, vinegar, salt and pepper together. 2. Slowly add the oil until an even consistency is reached and then add remaining oil while whisking very quickly.